This is a well equipped and maintained Racer/Cruiser from the Farr fleet. 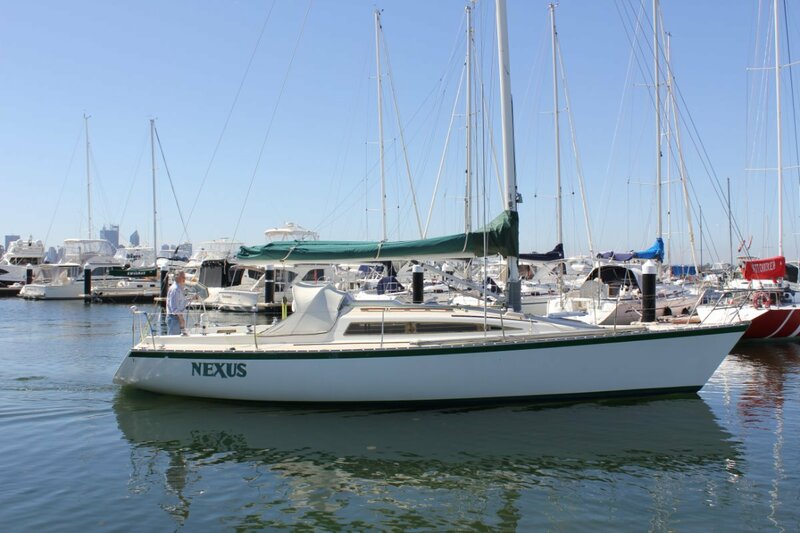 Nexus is a well known Perth yacht with many racing accolades to her name. Her current owner of 20yrs has called it a day with his sailing commitments and has offered her to the market as the best priced Farr 11.6 in the country. She has had recent ungrades & $$$s spent on New Main Sail, Lithium batteries, New Rigging, Huge Electric Halyard Winch, Antifouled and Prop speed. Ready for her new owner. LiFePO4 Lithium Batteries 160 AH house, 40 AH start. SOB navigation on Windows 10 PC, GPS, Fluxgate compass, wind, depth. VHF with masthead antenna. Hand held VHF. HF with auto tuner. No 1,2 & 3 headsails. 0.9 and 1.5 oz spinnakers. New main. Storm jib and trysail. A very well maintained and looked after Yacht. Can be enjoyed with coastal cruising or switch on her turn of speed with the renowned Farr racing hull.